Fresh-tasting, contrasting flavours, beautiful presentation and often fearsome spicy are keywords for the Thai cuisine. Thai food offers a seamingless endless variety of dishes, from noodles, curries, rice, seafood, sweets, fruits to the latest fusion creations. Food plays a vital and important role in Thai society, and every visitor to Thailand will be asked ‘Kin kao laew rue yang?’ which translates to ‘Did you eat already?’. Visiting Thailand just for food is an adventure in itself and food is available everywhere and all the times. 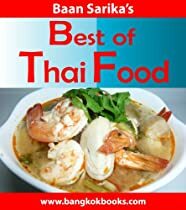 Thais are great snackers and with street hawkers in every little soi (lane), food stalls in every shopping mall and pushcart kitchens everywhere, opportunities are plenty. Spoon and fork are used and chopsticks are only provided with noodle soups or Chinese dishes.